Getting a prepaid Korea SIM Card with unlimited data, local calls and texts, "MY SIM FREE A"
‘ANNEX KOREA SIM FREE A’ is good for you if you are planning to have unlimited data with 4G LTE speed as well as unlimited domestic phone calls and texts. Especially, if not enough time to wait in line at the airport, KT Roaming Center due to individual schedules or Not available to pick up SIM when arriving at the other airport, except Incheon airport, too early or late, this product is the best choices as domestic or int’l shipping is available. and runs on a nationwide super fast 4G LTE KT network. Available for Int’l & Express Domestic Shipping. Incoming Int’l Call, Text is available for free from your country. Voice Talk Apps like Whatapp to make calls send texts is available. Require to register SIM for activation before using it. No need to drop off SIM. This Korea SIM Card is valid only for foreign visitors. If user is of Korean nationality, you must own a proper visa which proves you are staying overseas such as permanent resident card, student visa, etc. SIM User Guide (manual) in English. you can surf the internet or chat with your loved ones without worrying. First 10GB at 4G LTE speed will be offered. Extra 2GB per every day at 4G LTE speed will be offered. After used up Extra 2GB per every day, unlimited 3Mbps Speeds will be offered. 4G LTE Data Speeds offers Avg.140 Mbps : it’s Blazing Fast. It can be purchased online at a discount up to 20% OFF. You will be charged shipping costs as follows. You are needed to register SIM Activation before using it and we recommend to register SIM on schedule date you want to use in advance. they are needed to upload one photo taken together with your passport and one of proper Visa. To learn more about them, Tap here! You are able to place an order as a guest on the Order Page instead “Log in”. Multi-QTY is available but only one person can be used one SIM Card. All putting items at the order page is as follows. 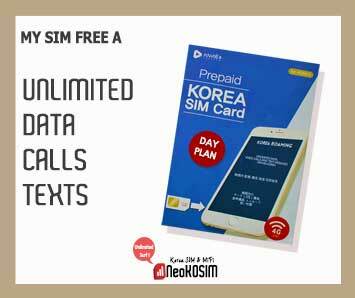 Order Page : ANNEX KOREA SIM FREE A >>> Tap here ! We offer domestic and worldwide delivery services. Domestic delivery service offers reliable door to door service (Overnight express) by the Post Office and Int’l delivery service offers international trade by Air from the Post Office. After shipping, tracking number will be mailed to check the delivery status. It will be delivered Next Day when you order before 4:00 pm weekdays. It will be delivered Next Tuesday when you order from after 4:00 pm of Friday to weekend. It will be delivered 14 to 21 Business Days. Credit expiration is counted based on your registered using date. It’s for 7, 10, 15, 30 Days Pass including the first date of using date. This SIM Card is available to extend the expiry date. Calls to the number (1588, 15XX etc), 060, 013, 050, domestic video call are strictly limited. This SIM Card is extendable up to 30-DAY only once by using top-up App. 7, 10, 15-DAY : it’s extendable up to 30-DAY only once including first using periods. 30-DAY : it is extendable up to 30-DAY only once. Top-up (Recharge) amount per day is KRW 3,000. 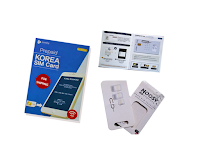 As Setting configures the correct data APN automatically, this Korea SIM Card is easy to use. All you do switch Korea SIM Card into your phone and Check KT 4G LTE connected on your phone. Your phone must support on one of GSM N/W frequencies below. Available for incoming Int’l/Local Call, Text for Free. If you had ever used another company’s SIM in Korea, with your phone currently in use, let us know the IMEI number in your phone. 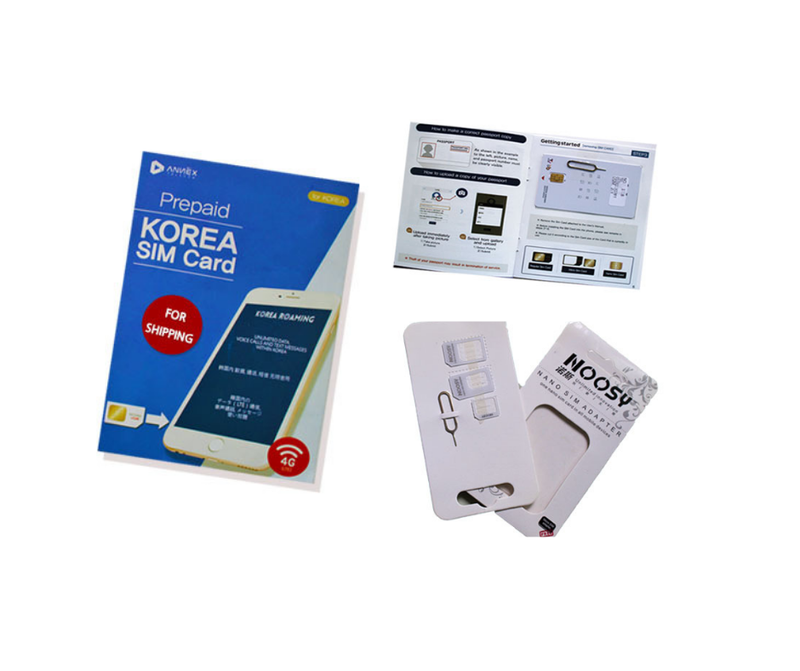 This is to ensure that your SIM works well with trouble free on arriving and switching SIM in Korea. Open your dialer and typing *#06# using the keypad. It is also found in the menu of Settings app > About Device > Status. Please makes sure that the device is unlocked with Network Carrier. If you are using an earlier model device (more than 3 years) we suggest you to check your device’s compatibility before you order. Current model iPhone, all Android devices with up to date firmware. If you’re unsure if your phone is Micro, Nano SIM card, check your phone’s manual, the manufacturer website or GSM Arena. Send us email promptly if you want to cancel your order. 30 days after purchase: Non-Refundable.